WOW! January in Florida! add BOATING and does it get any better than this? Click here for the seminar schedule. 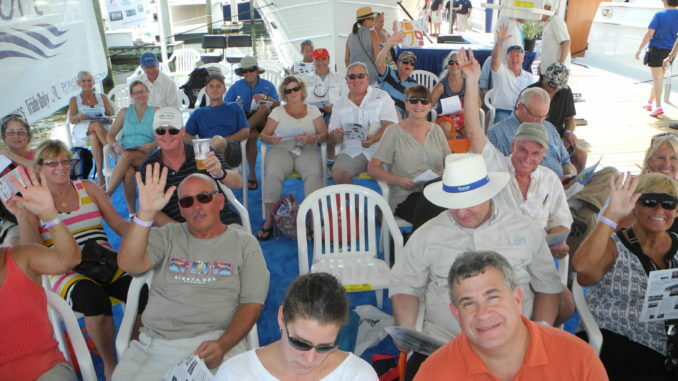 All the topics any boater needs FREE with show admission! 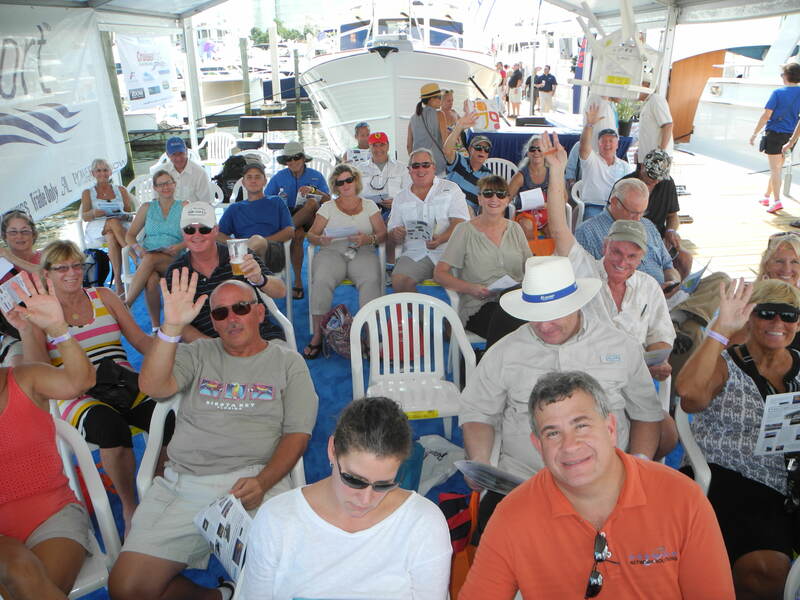 The Stuart Boat Show is the perfect way to start the New Year! 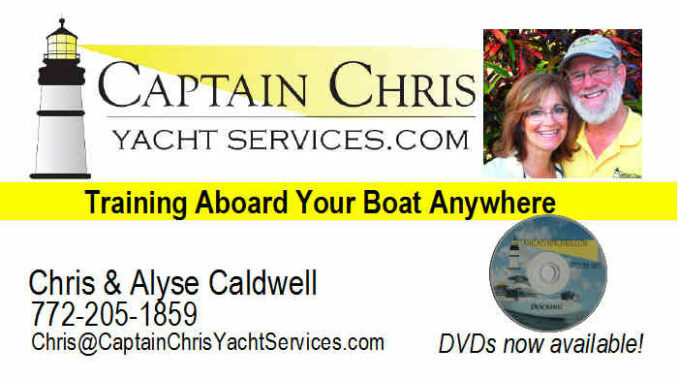 Ask Captain Chris about why you should attend this annual boating event. 772-205-1859 or email us today! Don’t miss out on this terrific opportunity. 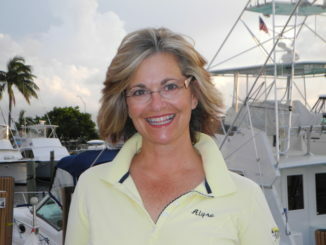 Meet Captains Chris & Alyse at the Stuart Boat Show and enjoy one of their award winning presentations! 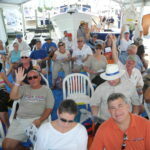 Learn about safety with the USCG Auxiliary and gets tips on fishing….FREE with the price of admission to the largest in-water boat show north of Palm Beach! And after you check out the seminar agenda scroll alllllllll the way down this page and see a video of a liferaft deployment. Too kewl for skool! 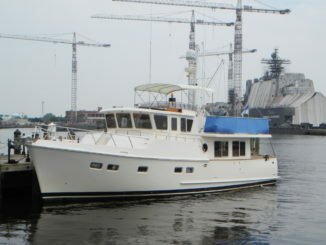 Is your vessel compliant with federal and state regulations for the appropriate safety and emergency equipment? Can you quickly operate this equipment in an emergency? Learn from seasoned professional Coast Guard Auxiliary members what equipment you must have on board and how to operate each. 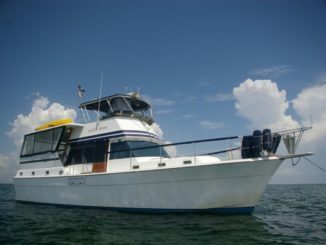 Prepare for one of the world’s top boating destinations with its charming islands, top-notch marinas, welcoming restaurants, plus great fishing and diving in the calm and turquoise waters of the Abacos. From necessary supplies to available forms of communications and potential customs and immigration issue, learn all you need to make this a smooth and easy crossing. Learn the proper selection of inflatable life rafts, where to store it on your vessel and how to launch and inflate this important piece of safety equipment. Experience the action with a live demonstration! It’s an inland odyssey, a 7,000-mile yearlong journey—the circumnavigation of eastern North America that will take you through the waterways connecting inland lakes and rivers with the Atlantic ICW and the Great Lakes. 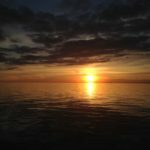 Discover what to expect while cruising the Great Loop, including all the height and depth restrictions without missing all the fun! 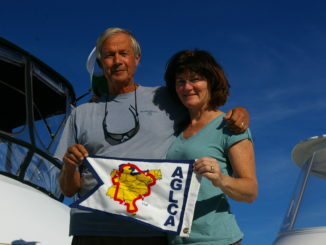 Receive a complimentary one-year membership to the America’s Great Loop Cruisers Association (AGLCA) courtesy of the Caldwells. The Coast Guard exercises its broad authority to conduct vessel boarding for the purpose of enforcing U.S. laws and regulations to promote marine/boating safety, security and environmental protection. What do they look for and can they search your vessel? 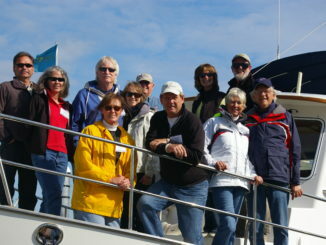 Hear from boarding officers what to expect when they board your boat and how to comply. Engage the next generations through fishing! Captain Don teaches children age 5-16 all they need to know to fish successfully—from lure selection to casting techniques and many hands-on tips, children walk away truly knowing how to catch a fish (the first 50 kids also receive a free rod and reel combo). Be an asset to your captain! Boost your knowledge of what a good mate’s duties are and find out everything a leading mate must know and manage while the captain is at the helm—and keep the fun while you do it! Learn the proper selection of inflatable life rafts, where to store it on your vessel, how to launch and inflate this important piece of safety equipment. Experience the action with a live demonstration! The Coast Guard exercises its broad authority to conduct vessel boarding for the purpose of enforcing U.S. laws and regulations to promote marine/boating safety, security and environmental protection. What do they look for and can they search your vessel? Hear from boarding officers what to expect when they board your vessel and how to comply. Good boaters take pride in the knots they choose and tie. Learn about this lost skill and find out which is best depending on the situation. Clove hitch, two half hitches, cleat knot, sheepshank, and bowline are just some of the more common knots the Caldwells cover. Rusty salty dogs are welcome! 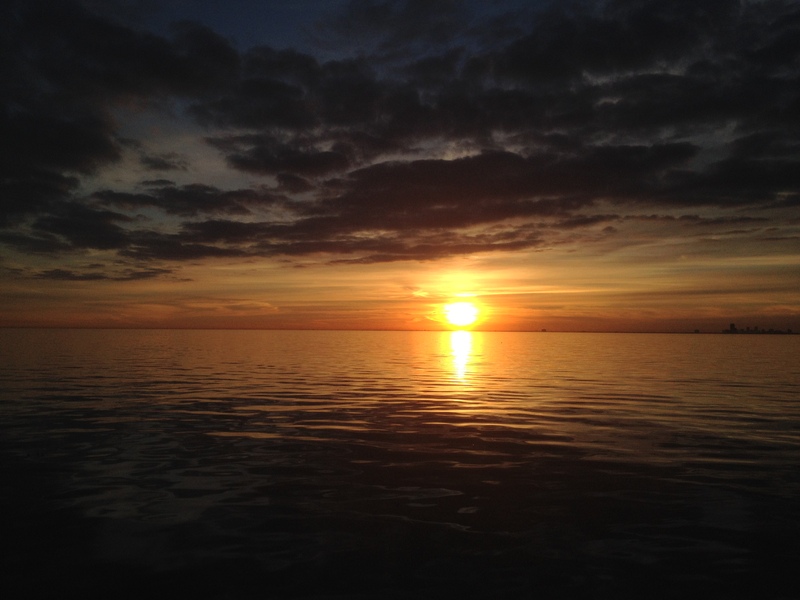 Plan for this 152-mile cruise that takes you from the St. Lucie River to Lake Okeechobee, the Caloosahatchee River and the Gulf. Be prepared for five locks, the vastness of the shallow lake, the rim route with levee-lined canals, and the roaming cattle and wildlife you’ll encounter on the way. 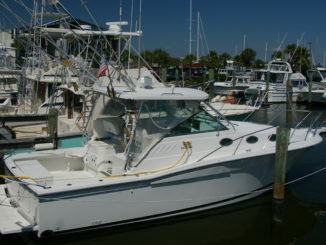 For more information about the Stuart Boat Show click here.